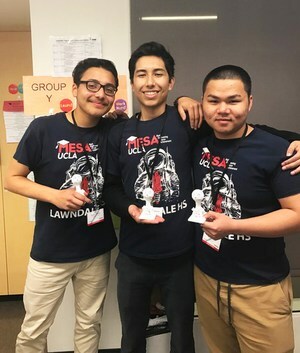 Lawndale High School MESA (Math Engineering Science Achievement) team won 2nd Place at the 2017 Raytheon Engineering Games. 30 schools participated in the games, which involved Electronics, Programming, Mathematics, team work, passion and hard work ! Congratulations Lawndale HS MESA UCLA Team 2017!